Make your biscuits according to the package. In a heavy skillet brown your sausage and break into small pieces. Cook thoroughly. Remove the sausage with a slotted spoon leaving the drippings in the skillet. Add the water, stir to deglaze. 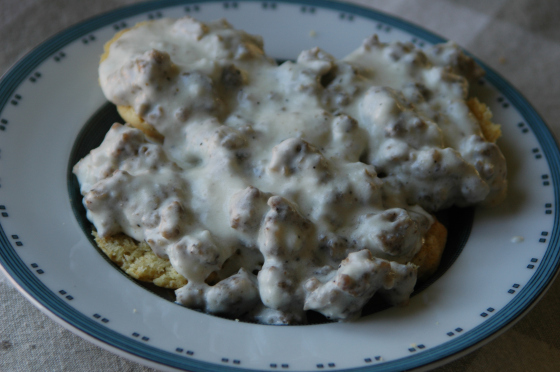 Using a whisk add the thickener one teaspoon at a time and incorporate. Add a second teaspoon if you desire. Add the sausage back to the gravy and warm again. 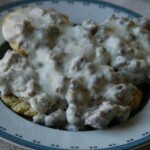 Split biscuits open and spoon on gravy.